Heavy gauge aluminum reflector allows heat dissipation. Designed to replace with most existing 4-1/2”~5” aperture architectural incandescent, fluorescent and metal halide housings. Easy-quick metal connector case supplied allowing easy and sturdier wire connector. (USA patented) 120~277V AC LED module with perfect dimming of Traic and 0-10V on one module. Haze clear finish is standard. Consult factory on other finish colors. 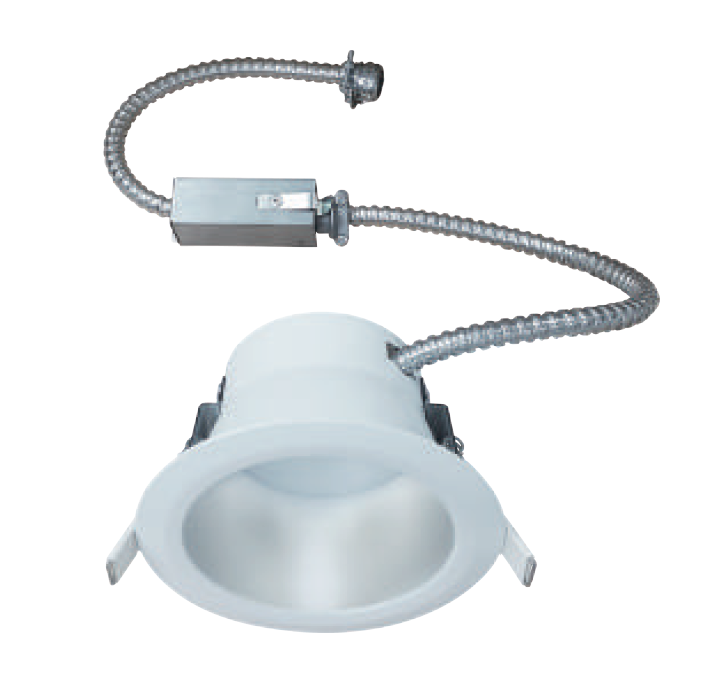 For use of remodeling down light, supply optional quick fit J-b ox on conduit end. 5 years of lamp life.